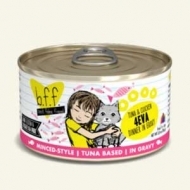 Tuna & Chicken 4Eva!? Are you Fur-real!? 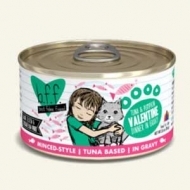 Get ready for your kitties to nom up this delicious, high-moisture meal, filled with minced, protein-packed pieces of tuna and chicken. Available in 3, 5.5 & 10-ounce can. 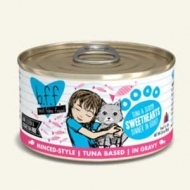 delicious, high-moisture meal, filled with minced tuna and pumpkin! Available in 3, 5.5 & 10-ounce can. 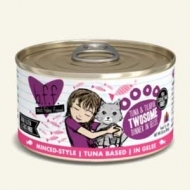 Tuna and tilapia make a great twosome— so much so that your little purr machine will gobble up this tasty meal and ask for more! Caragan free! Available in 3 and 5.5-ounce can. 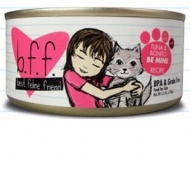 Weruva Paw Licken Chicken Canned Cat 24/3 oz. 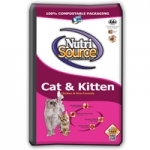 NutriSource Senior/Weight Management cat food provides super premium nutrition. 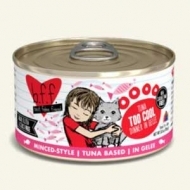 It has the great chicken taste cats love. 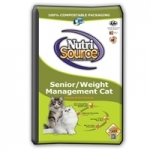 Formulated with all natural ingredients and the latest scientific feline nutrition available, Nutrisource Senior/Weight Management cat food provides complete care for senior and less active over weight cats.